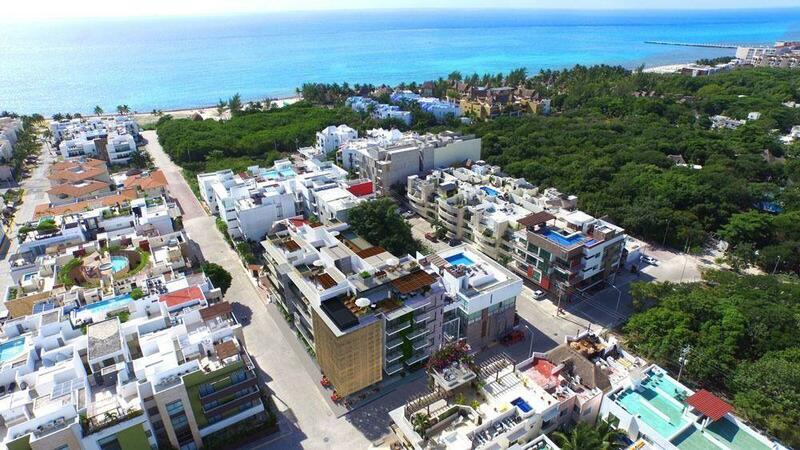 Exclusive BEACHFRONT development of only 15 units in the paradise of Mahahual. Enjoy the best views of the Caribbean and long walks on its boardwalk. With studio units, 2 bedrooms with private pool and 2 bedroom Penthouse with own pool. It is a unique project that offers the greatest surplus value in a place with great potential such as Mahahual. It offers high returns because there is no competition and having a hotel operation is ideal for investment, on the other hand you can still enjoy a moment of relaxation by having your own apartment on the beach. Its luxury finishes implement materials from the region that give the Caribbean touch characteristic of the area.